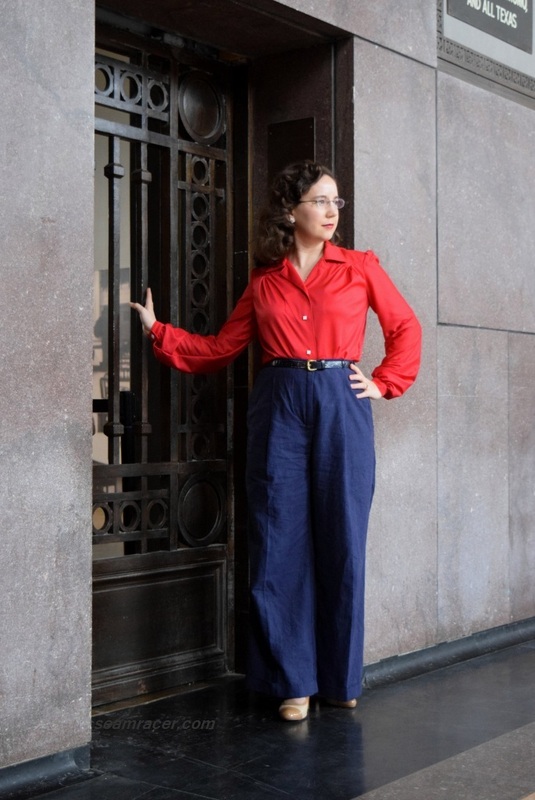 My new found enjoyment wearing (and success in making) my first pair of vintage pants gave me gusto to jump in to fill a gap in my wardrobe: comfy, casual vintage inspired jeans. Jeans are something I’ve learned to do without, mostly because it seems near impossible to find a pair that fulfills all of my requirements – room in the bottom area, vintage appeal, tailored details, and a waist that really sits at the waist, all the while being complimentary on myself. Whew! No…it’s way more fun and appropriate for me to make my own jeans. I now have the ultimate vintage jeans, perfect in every way possible to my own discriminating taste. I also feel I’ve found the happy medium between loose comfort and tailored fit. Hopefully I can inspire others with this post to turn to their inner talents and provide for themselves, creating their own personal style to appeal to their own unique individual taste. Do not rest dissatisfied with wearing what doesn’t fit or suit you – be the one to make that change! FABRIC: A 100% cotton mid-weight denim, in a medium blue wash. It was bought from a Jo Ann Fabrics store. NOTIONS: All I needed to buy was a zipper for the side. 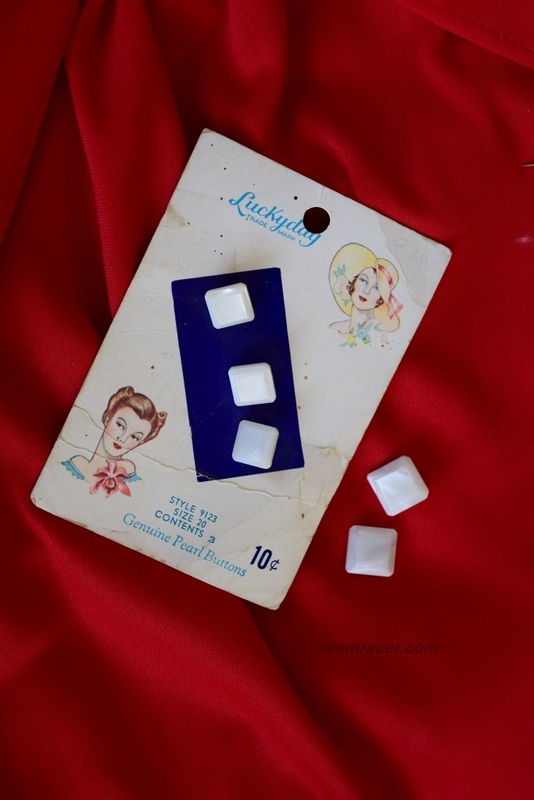 The rest of what I needed – the interfacing, hook and eye, and thread – was already on hand. TIME TO COMPLETE: These jeans were a breeze to make once I got past the fitting and adjusting of the pattern. I spent maybe 2 hours of time to customize the pattern, and then only 5 hours to cut, sew, and finish the jeans. They were done on February 6, 2015. THE INSIDES: …left raw. This denim has a tight weave so it really doesn’t fray much on the raw edges. TOTAL COST: I paid half price for the denim, and the jeans only took 2 yards to make, so my total (with the zipper) was only about $8.00. Pretty good, huh?! 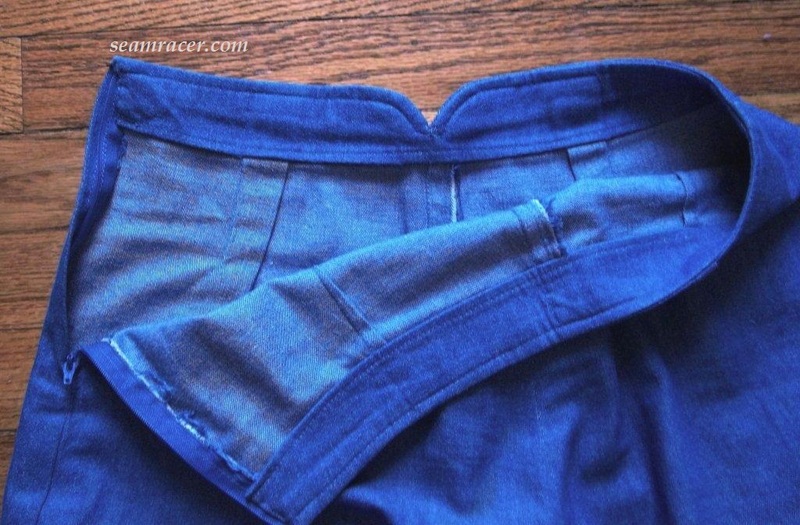 The Simplicity #4044 pattern I used for these jeans was even easier than the other Simplicity pattern (#3688) used to make my first pants. Although it is unfortunately out of print, it seems readily available to purchase from many different sellers. I bought mine from Etsy. 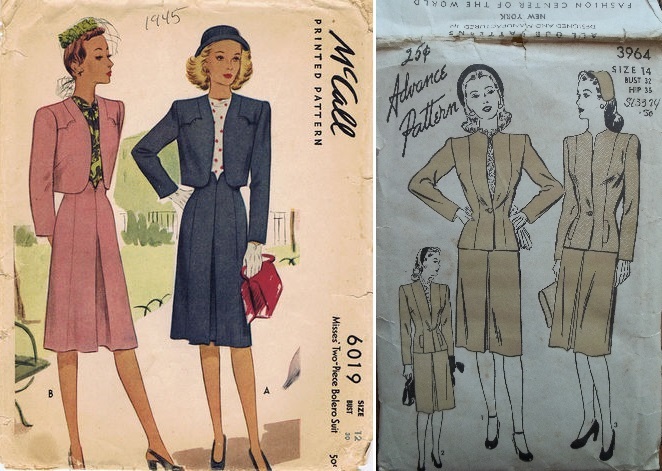 I did a bit of research to be able to pin down exactly what part of the decade of the 1940’s might be the source for this pattern, Simplicity 4044 reprint. At first, I was focused mainly on the arch-waisted style, but looking into the design of the jacket happily co-ordinates with the years I found for dating the waist style. 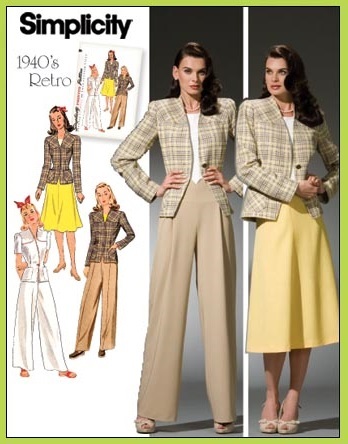 There is a McCall #6019 pattern for a skirt and bolero jacket, and it has an arch-waisted skirt front with arched/scalloped pocket detail on the jacket as well. 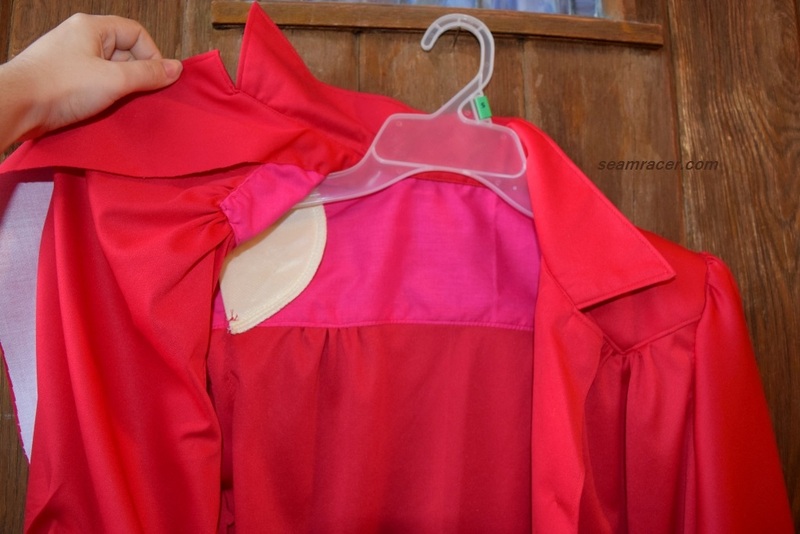 Now the skirt detailing is similar to the pants and skirt waist of the Simplicity reprint, as are the jacket sleeves, but the skirt box pleat is a change and bolero style is missing. Now let’s look at a pattern in my collection, Advance #3964. 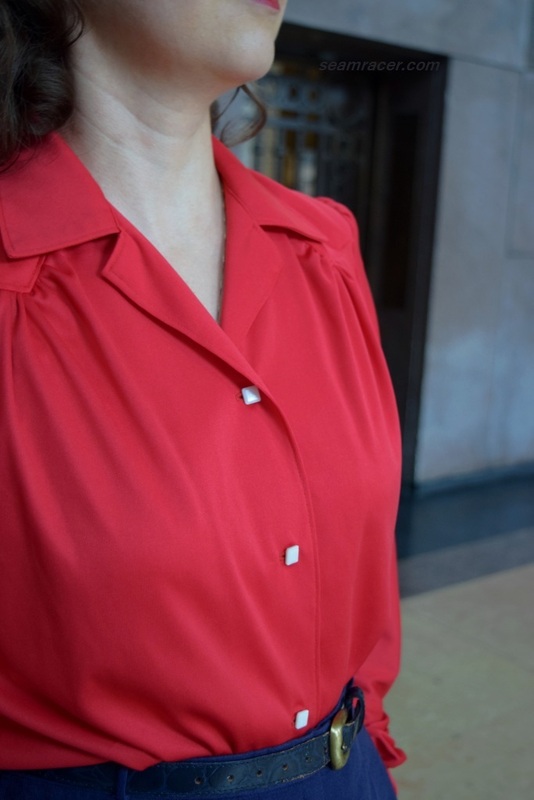 The jacket in this pattern is almost exactly the same as the design in the Simplicity reprint, with its paneled sleeves and long jacket front and single button waist closure. What I find interesting is that the pattern I gave as similar examples, McCall #6019 and Advance #3964, are both from 1945. This paneled, streamlined jacket style is very much a war-time design – it was in skinny and small pattern pieces meant for going towards re-fashioning an existing man’s suit. 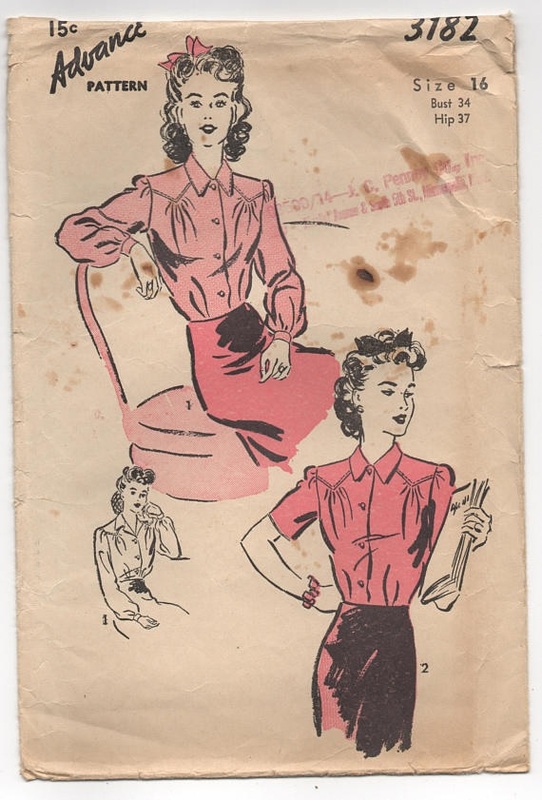 The skirt style of center front box pleats were a staple of the years 1942 to about 1945, with basic, full, A-line styles not as frequently used, so Simplicity 4044 throws my fashion reasoning off just a bit. Nevertheless, I have a strong “guess-timation” here that Simplicity 4044’s pieces are from late war-time, definitely 1945. Simplicity probably did not reprint a McCall or Advance pattern, so I’m assuming there is an original pattern I’m missing out on highlighting here. However there’s one more piece to my puzzle. 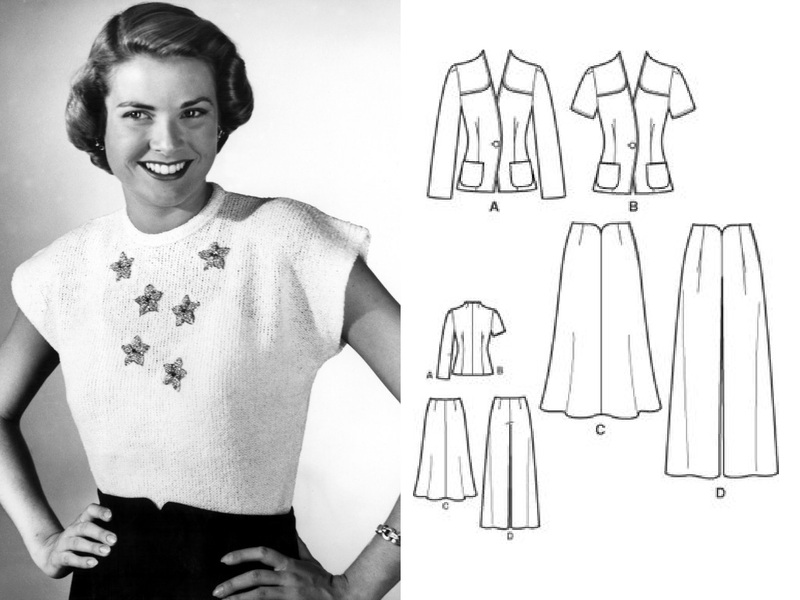 The picture you see on the side here is from 1947 of the young, then teen model, Princess Grace Kelly wearing bottoms with an arched-front waist, setting the possibility of the fashion of Simplicity 4044’s set back even more to post-war fashion. 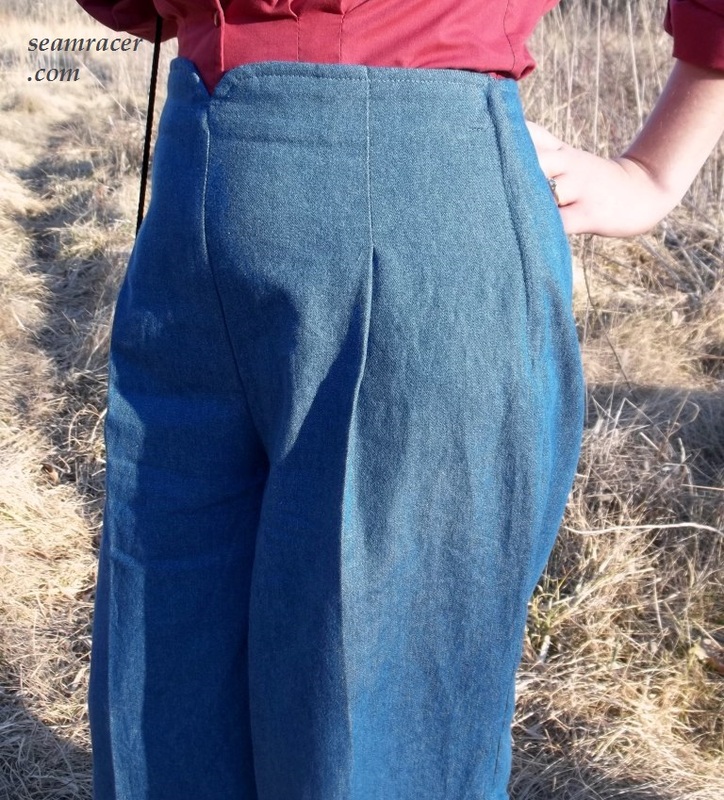 This time around for making trousers, I read up and informed myself on better fitting techniques, ways to understand the shape of your body, and how to do a full booty adjustment, which I needed. None of this is for the faint of heart, so if you’re squeamish about knowing the shape of your booty and the true measurements of your body, I don’t know what to tell you. I don’t like what I found out either, but…hey – the way I see it, I am how I am, and I’m healthy and happy so I shouldn’t put myself up to some artificial standards. My primary step was so have a second pattern “victim” to cut and mark up at will. 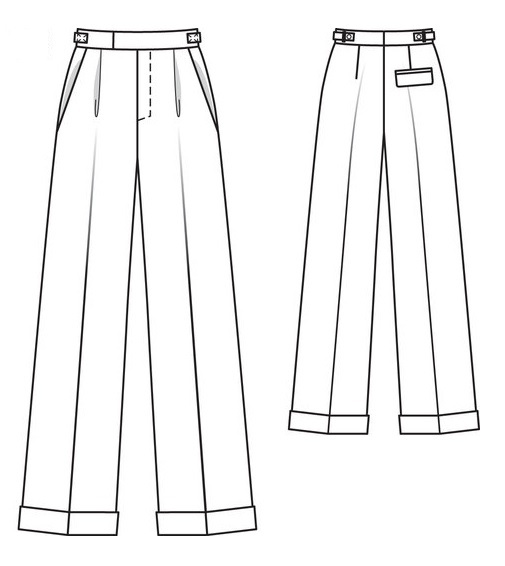 Only the top half of the pants pattern (both front and back) was copied on a machine so I could have a paper version. I also had to choose sizing first off, too. I was in between sizes for the waist so I stayed in between, but went up in size for the hips and carried that size all the way down the pants legs. As my jeans turned out just a tad too roomy in the waist, I think going down a size might be a good idea for anyone else in between sizing because this pants pattern is generous and, without a set waistband, these pants need to fit well to stay up. 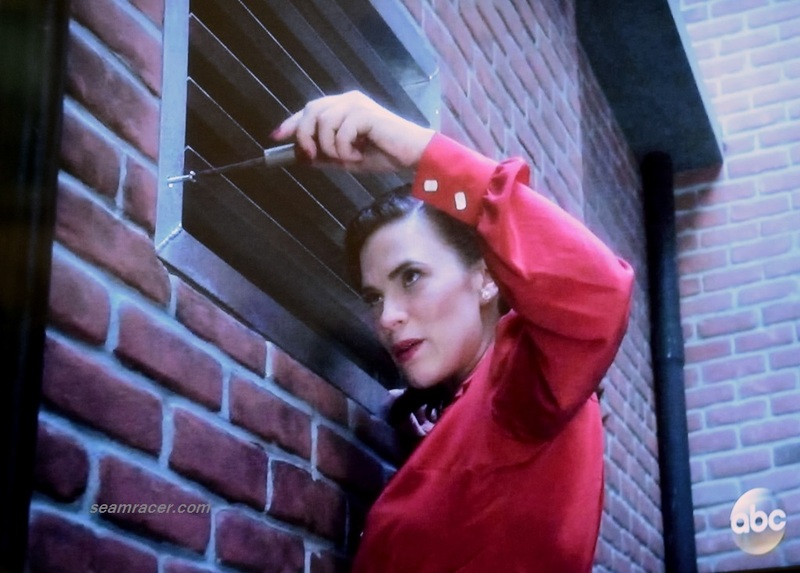 Of course, there are always “braces” or suspenders to fix droopy drawers! 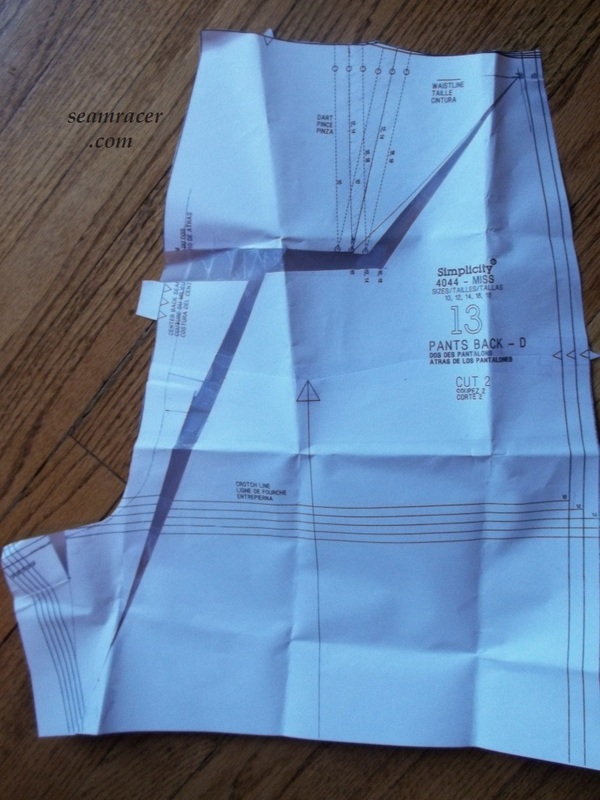 Next, I used two sites to guide me in my pants adjustments – “Sew Your Boat” blog – on a ‘BBA’ and Colette’s tutorial on “Pants fitting basics” (although Colette’s “Pants fitting cheat sheet” is good info, too). After reading through “Sew Your Boat” post, my first step was to find out the shape on my booty and see if the fullest part back there is low hanging so I can know where to add the necessary room. I did her “aluminum foil roll shaped around the crouch line” trick…and yes it is weird and funny, yet it works. You look at the shape of the foil and think, “This is me?” At least I knew exactly how to shape the booty of the pants because now I had a template. Next, I did the “slash and spread” method. I had the finished garment measurements of the unaltered garment and compared them to my measurements with added generous ease, and compared the two to see how much room to add in the “slash and spread”. 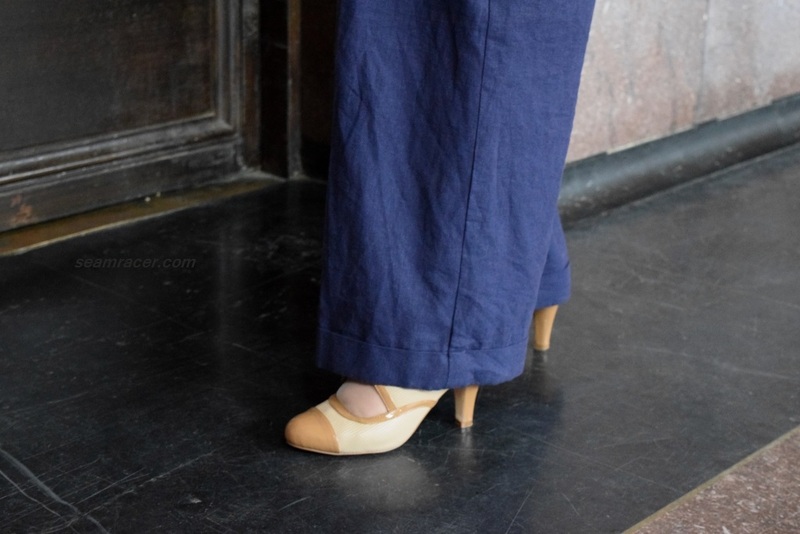 I supposed I rather ran high on the measurement combo of my measurements + ease, so I chose the happy middle between that and the finished pants measurement – a total add in of about 1 ½ inches, slightly more or less. Finally, I used the booty form to do a finishing touch-up shaping of the “slashed and spread” back half pattern piece. The front piece was relatively left untouched except for the bottom point of the crouch (top of the inner leg seam). That part was re-drawn just an inch lower to make a wider dip of a curve so as not to have a drastically baggy bottom. 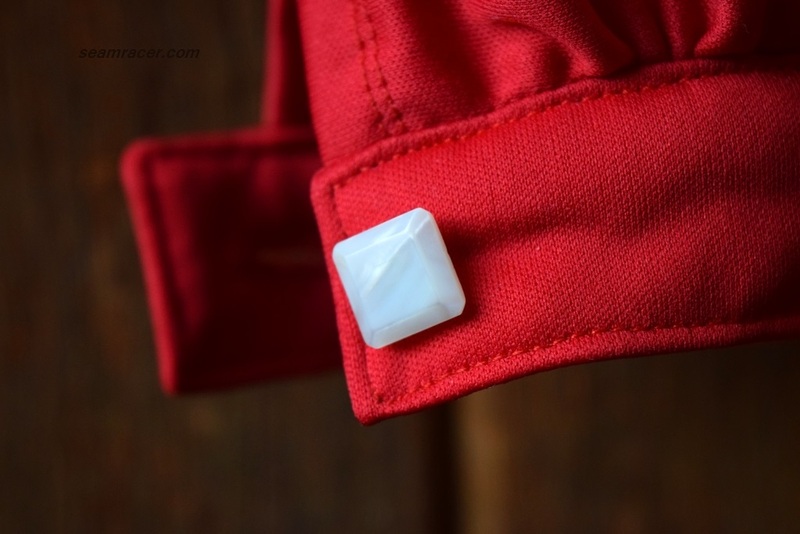 All in all, my effort and figuring here completely paid off with exactly the fit and feel I had hoped to find…sewing bliss! With this much done, the pants were cut out and constructed as instructed otherwise. I simply overlapped the paper top half over the tissue bottom half to come up with one whole pants leg pattern and cut it that way. As my fabric was 60 inch width, I was able to actually use less than the 2 yards asked for, and now I have a nice chunk of about ½ a yard of denim to use for another project. 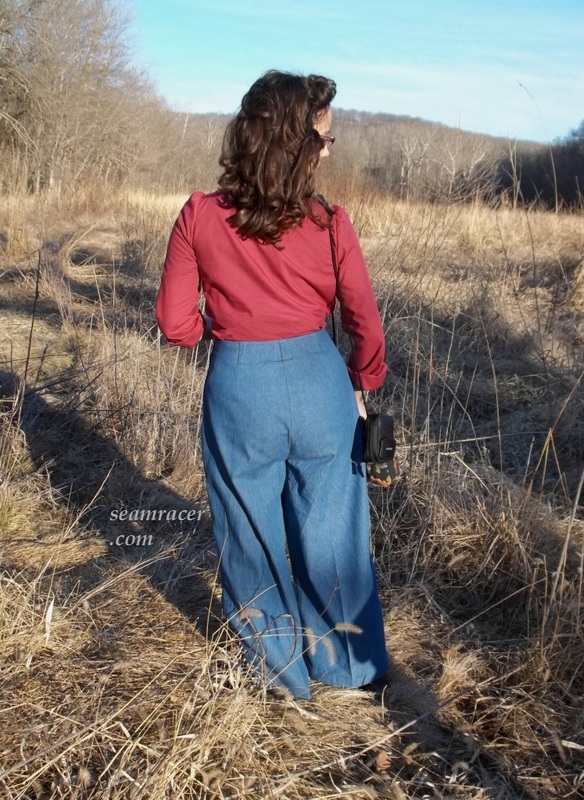 This pants pattern does have a side seam, and there are small tucks in the front, and small darts in the back, so there are a few no too complicated steps and details to accomplish when sewing the preliminary steps. The trickiest part of the jeans were the arched front detail, but as you get into it, it is not as hard as one might expect. The arched front, together with the facing that finishes the inside, only requires taking one’s time to be precise with the stitching (and marking beforehand). 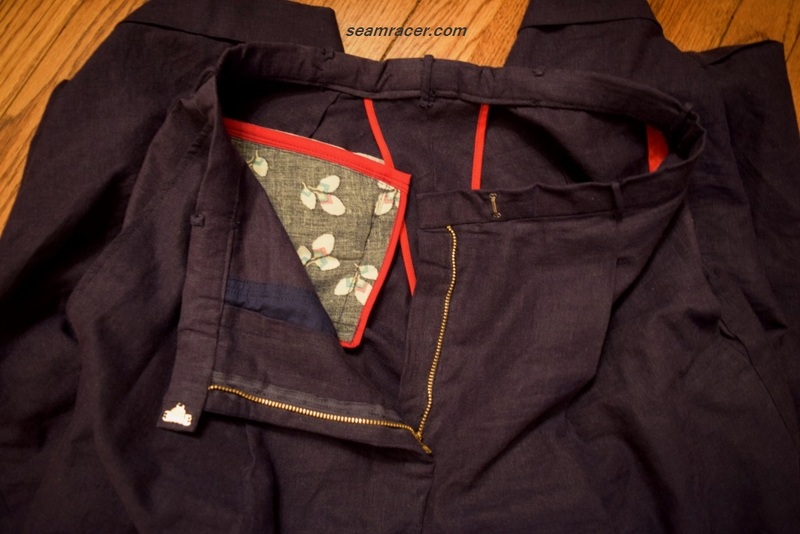 I was impressed at how well the facing matched up and stabilized the waist of the pants pattern– sometimes small facing pieces can, if they are a tad wonky, throw everything off. 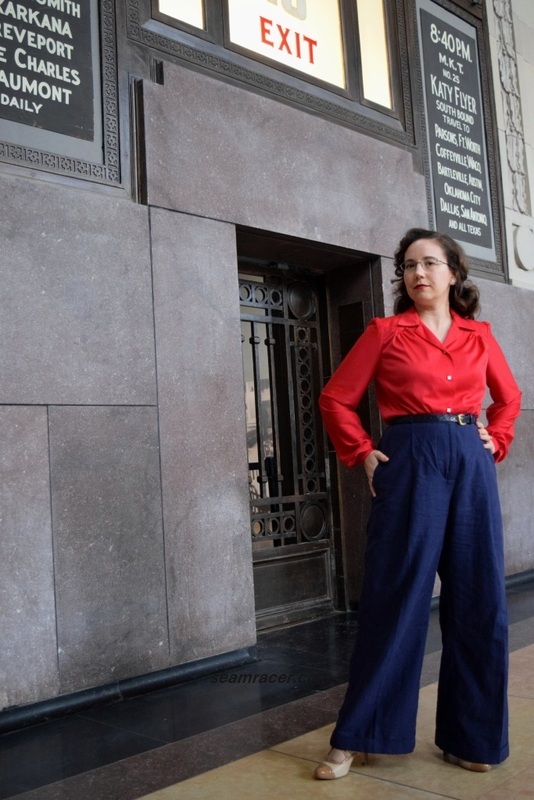 Words cannot describe how incredibly pleased I am with everything about my 1940’s jeans – from the fabric to the fit but especially the pattern. I do find the appearance of the pants on myself to be not exactly as complimentary as I had hoped. However, they have such a subtle unique vintage quality to them, one which does not scream vintage but still speaks of style to me. I cannot help but love them. I have also now made the jacket pattern from the same Simplicity reprint as my pants – and a lovely Glen plaid fabric has made it a wonderful set for the chilly weather. 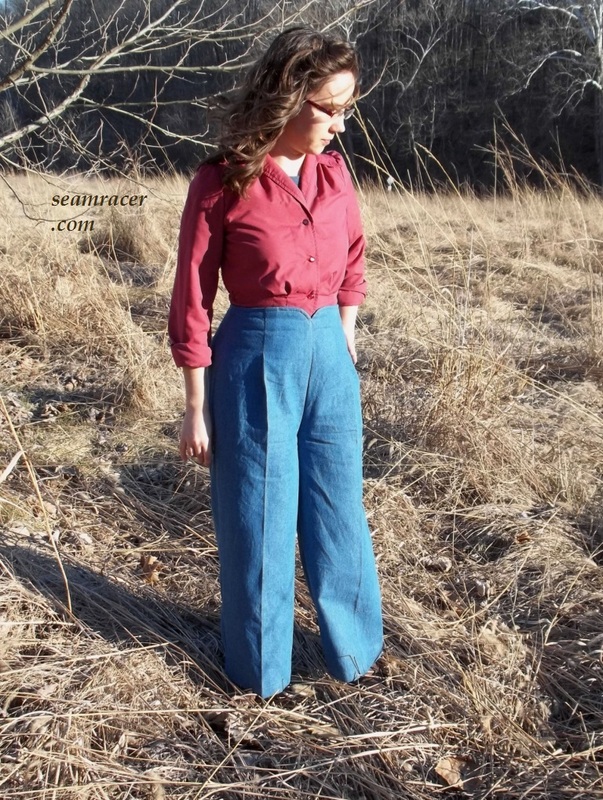 If you don’t have Simplicity 4044, and happen to come across it for sale, snag it for yourself and let me know what you make from it! I couldn’t resist going with the whole Captain America/”red-white-and-blue” thing to pair with my jeans. 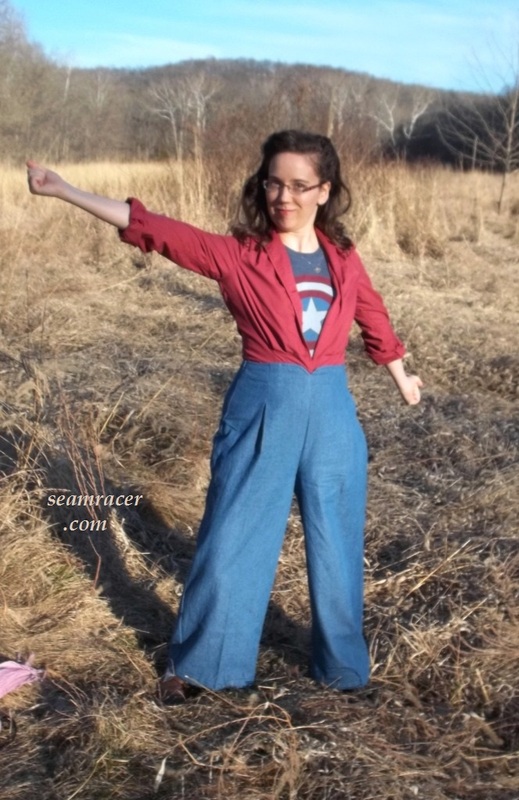 A favorite past project, my 1943 cotton basic blouse, was worn with my jeans, layered over my favorite captain America tee shirt. I felt like some secret superhero opening my top to show off my Captain America shield tee underneath. Do you have an article of clothing that you have conquered when it comes to fit and understanding? Be it pants, shirts or knit fabrics, the world of sewing and the fabric arts is always there to provide a challenging, interesting, and creative project for those willing to tackle it – never a dull moment necessary!